You can think about your credit score as a “financial GPA”. 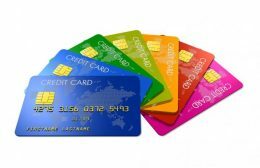 Your credit score is composed of five main parts. About 35% is your payment history (paying on time), 30% is credit utilization (amount of credit you use compared to the amount of credit you have available), 15% is length of history (so it is not always the best idea to cancel a credit card when you pay it off), 10% is shopping for credit (those hard credit inquiries – when a financial institution checks your credit report when you apply for a loan or credit – stay on your report for 2 years; soft credit inquiries – such as checking your own credit score – do not affect your score), and 10% is mix of credit (the different types of credit such as revolving credit like credit cards, and installment credit like a car loan). 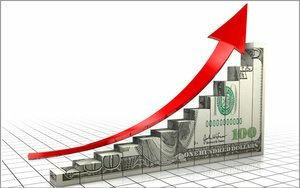 What can I do to maintain good credit? How can I establish or repair credit? Stay motivated and look towards the end goal! 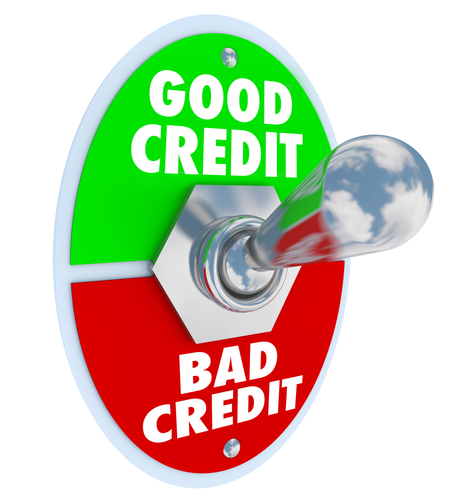 Checking your credit report is also important for both maintaining and repairing your credit. You can think of your credit report as a copy of your transcripts, a detailed summary of your financial reliability and history of paying debts. You get three free reports annually, one from each of the credit bureaus – Transunion, Equifax, Experian. It is recommended to request one every four months to monitor any fraudulent activity or errors on your report. 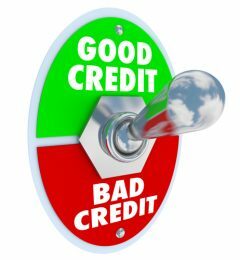 Go to annualcreditreport.com to view your credit report. Checking your own credit report will not affect your credit score. However, every time a lender checks your report, it is considered “shopping for credit”, and can negatively impact your score. Finally, note the report does not include your credit score (the numerical value calculated from information in your credit file that is used by lenders and landlords to assess your “credit risk” at that time). As always, if you have any questions or need help checking your credit report, we would be happy to help! For the majority of students, the hardest part of creating and sticking to a budget is having the discipline to continue monitoring it. Part of the reason some shy away from sticking to their budget, is they have a hard time trimming down their current expenses. Today, we are going to explore some of the unique options that are out there to both save money and possibly make a little extra on the side. Before we start, I would like to review the steps of the budgeting process. First, you need to understand how and where you are spending your money. To do that, you must first estimate what you think you are spending on a monthly basis. This will set the bar to see whether you are aware of your spending habits. Next, you will need to keep track of your actual spending for at least a month. You can do this by saving receipts, journaling purchases, or any other way that works for you. This is a very important step because once you know what you are actually spending; you will be able to see the gaps in what you estimated, compared to what you are currently spending. By doing the first two steps, you are now aware of where your money is going and what changes you can make. This is where we are at today. When you look for places in your budget to trim expenses, and therefore save money, it can seem a little overwhelming. Here are some options that are available on your smart device to help you save money without necessarily changing your money behaviors entirely. Do You Need Some Further Assistance? Are you taking advantage of these great opportunities and still having a hard time creating and sticking to your budget? If so, schedule an appointment with Powercat Financial and a Peer Counselor would be happy to help you get on the right track! Worried about student loan repayment? Don’t stress, we are here to help! Are you a graduating college and worried about student loan repayment? With midterms, finals week, and projects all wrapping up and coming to an end, the last thing we want to think about is student loans, but with a little planning, they are nothing to be concerned about! We will discuss the process of paying back student loans and how to insure the process is a breeze! Many times, people think that student loans are paid back to their university or the government directly. This is NOT the case. While you are borrowing the money from the government, they have loan servicers who handle the repayment of student loans. If you do not know who your servicer is, the first step is to log in to the federal student aid website (WWW. Studentaid.ed.gov). After logging in, you will find all of your student loans listed, with information such as loan balance, interest rate, loan servicer, and type of loan. After reviewing your loans and finding your loan servicer (CornerStone, FedLoan Servicing, Granite State, Great Lakes Educational Loan Services Inc, HESC/Edfinancial, MOHELA, Navient, Nelnet, OSLA Servicing) you can log in to their personal website and create an account! Student loans are paid back on a monthly basis. There are many different repayment plans that are listed below in the next section, but before you pick a repayment plan, it is good to figure out how large of a payment you can financially handle each month. There are many different student loan repayment calculators online but the easiest to use is the Federal Student Aid calculator. You can find it at www.studentaid.ed.gov. This calculator automatically loads your student loan information into the calculator and offers a table of monthly repayment estimates for each specific loan repayment option. With this, you can get a good idea of which monthly repayment plan will work best with your financial budget. 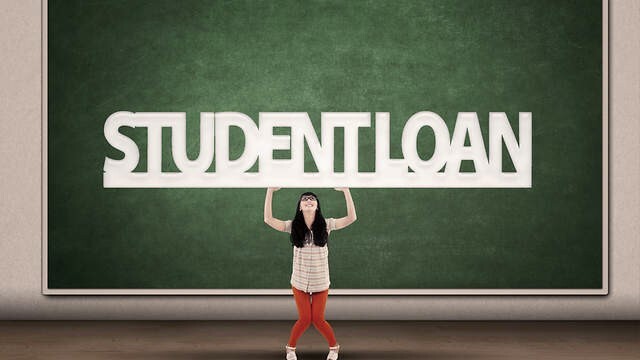 Once you have created an account on your servicers website, it is time to decide how to take on student loans repayment. The great thing about student loans is that you have a 6-month grace period before you have to begin repayment, with most loans. If you have not used any of your grace period, you do not have to start repayment on the loans for six months. *With unsubsidized loans, we recommend that borrowers begin repayment on the accruing interest before the sixth month grace period ends. Once the grace period ends, any interest that has accrued on your loans will be tacked onto your loan balance, which will cause you to pay interest on top of that accruing interest. * There are many different repayment plans that are offered when paying back student loans. The standard repayment plan is equal monthly payments for ten years (120 months). If your loan balance is above $30,000 and you are worried that monthly payment will be too high, you can apply for extended repayments, which divide the loan up into equal monthly payments over 12-30 years. There are also income based repayment plans. These are for borrowers who believe that they will not make as much money in their first few years working, but by the end of repayment will have a higher income. With this plan, you will pay a lower monthly payment in the beginning, but periodically through repayment, your monthly payment will increase. Another option available is Income-driven plans. Under this plan there are a few different options that take a percentage of your income and formulates a payment based off of the information provided. If you do not specify, you will be put on a standard repayment plan and will need to contact your loan servicer to be put on a different repayment plan. There are a few different tips and tricks that you can utilize to save money with student loan repayment. The first step is to enroll in an automatic payment plan. Loan servicers offer a .25% interest rate discount to customers who enroll in an autopay program. This will also insure that you do not miss a payment, which could hurt your credit score. Another way to save money is to be proactive with the loan repayment process. When you make the monthly payment, specify that you would like the put the payment towards the loan with the highest interest rates. Paying down loans with the highest interest rates first, will insure that over time, you are paying the lowest amount of interest possible on your student loans. There are also ways to get a portion of your student forgiven. If you are planning on working in a public service sector, you are eligible for some type of loan forgiveness. The Public Service Loan Forgiveness is for anyone who works in the public sector (nonprofit, government, state job), and makes 120 qualifying payments. These payments do not have to be consecutive to qualify. If you are a teacher and new borrower, there is a Teacher Loan Forgiveness plan as well. Under this plan, you must have taught full time at a low income school for five consecutive years. Under this plan, you are eligible to have up to $17,500 of your student loan balance forgiven. To be eligible for these forgiveness programs, you are required to make the minimum required monthly payment until you meet the time requirement. Armed with these tips, you are ready to take on the task of repaying student loans. With proper planning, student loan repayment can be easy and stress free. If you have any more questions regarding student loan repayment, or any other topics, please feel free to schedule an appointment with Powercat Financial. Either I, or another counselor would be happy to assist you! If you are like most college students, you might not have a budget in place, or if you do have a budget you may find it hard to stick to. Budgeting is one of the most important ways to help you get on track and stay on track to achieve your financial goals. If you can learn to budget well early on, it can help you be prepared for when you begin paying on your student loans, have a mortgage payment due each month, or are trying to determine how much you can set aside for retirement while still paying the bills. So, how do you actually do that? What are some practical ways you can make changes to your budget…and stick to them? First, in order to have an idea of what you are currently spending, it is important to estimate where you are at financially. This will also help you see what you believe you are spending. You can come in and meet with one of our peer counselors to walk through this first step of the budgeting process together. Once you have your estimates in place, compare those numbers to your actual income and expenses. If you use your debit card for everything, pull up your past 1 year’s worth of bank statements and average out what your monthly expenses and income were. Using a full year helps give the most accurate picture so that you can account for any extra income you may have from a summer job as well as increased or decreased expenses you’ve had in the past year. If you don’t use a debit card or have any past records of your finances, no worries. 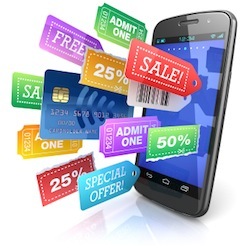 You can start keeping track through different websites, apps, receipts, or by writing it down. Some websites will allow you to manually enter in your expenses as well as link with your checking account. This can be a great tool especially if you use both cash and your debit card. One great website to use is www.mint.com. I will set aside $20 each week for 3 months to save $250 for my summer break trip to my Uncle’s house. After you have your goals in mind, you can start determining what you want your budget to look like. Just like your goals, you need to make sure your budget is realistic. If you cut out all of the fun stuff, it can make sticking to your budget extremely unsatisfying. Reducing your expenses will likely be more effective than completely cutting them out. Evaluate what is important to you, and allocate the amount of money you think is appropriate. Also, make sure you are setting aside money for savings. It is especially important that you have an emergency fund. If an expense comes up that you weren’t expecting, and the only money you have saved is for a fun trip, it is going to be a huge bummer to dig into that savings. But, if you have an emergency fund in place, you can be prepared for those unexpected expenses and not drain the funds you had been planning for your goals. If you found out that you spend $25 on coffee each week, one way to reduce this amount is to start making your coffee at home. Another option to reduce that expenditure would be to only go to a coffee shop 1-2 times a week instead of every morning. Although Redbox movies and vending machines typically don’t seem like much money, if you are a frequent visitor, that money can begin to add up. Ways to reduce this could be to borrow movies from friends and family, or bring snacks from home with you when you go to campus. ATM fees are one expense that can be avoided if you plan ahead properly. Pulling out money from your bank or getting cash back when you go to Walmart can help wipe-out those ATM fees that add up fast. One area where a lot of students overspend is in eating out. It’s a great way to socialize with friends, and it is also super convenient when you don’t have the time to make a meal. One way to reduce this cost could be to prepare meals on the weekend for the week ahead. If you have quick meals that you can pull out of the freezer or fridge and heat up, it is a fast and cheaper solution than grabbing the 8th box of pizza in 2 weeks. Another option is to go places that have student discounts or send out coupons. Many restaurants have apps or will send emails that can help reduce the cost of going to eat there. The great part about living in a college town as a student is all of the discounts that are available. Check out the local restaurants to find out when and what deals they offer, and have your student ID handy! If you spend a lot of time with your friends doing activities that cost money, let them know you’re wanting to save for a specific goal and offer some suggestions for a free activity you can do together. Or, if you’re both planning on going on the same trip, it is a great way to hold each other accountable to your savings goals. Another option some people like to use is the envelope method. Once you have figured out how much you are willing to allocate toward each category of your budget, put that amount of cash in an envelope so that you’ll know once the money is gone, you don’t have more money to spend for that particular area until the next month. Make sure you don’t lose it! www.mint.com can also help you keep track and send you updates when you are getting close to your spending allotment for the month. Budgeting is not just a one-and-done thing. It is something that will continually need to be monitored and updated as your situation changes. If you get a raise at your job or move to a new place that is more expensive than the place you lived in last year, you will need to reflect those changes in a modified budget. Taking steps early on to reflect those changes will prevent you from running into the situation where you run out of money because you made the same amount each month but now had increased expenses. Budgeting will take some discipline and habit, especially when you are first starting out. Over time, it will become more routine and manageable, so stick with it. If you would like help starting the budgeting process, please make an appointment with us. One of our peer counselors would love to meet with you and walk through these steps with you. For more information on budgeting, feel free to visit our website and click on the budgeting tab for a copy of our budgeting worksheet and other budgeting tips. Other topics we would be happy to assist you with include student loans, evaluating job offers and employee benefits, and credit. Make an appointment by going to www.ksu.edu/powercatfinancial to set up a free and confidential appointment. Happy Financial Literacy month! When it comes to finances, there is always something more to learn or improve on. Have April be the month you finally get all your questions answered! K-State has provided the opportunity for every student to have an account on www.saltmoney.org. Salt is a free financial website that can answer various financial questions as well as provide students with tools to enhance their financial fitness. Here are 5 reasons you should use your free account during the month of April. New year, new Salt interface! The website, www.saltmoney.org has updated its look to be more aesthetically pleasing as well to help tailor the Salt experience to each individual user. All of the same assets Salt has are located in the new webpage, but may be in a different place than before. However, they are not hard to find—spend 5-10 minutes exploring the new page! The new Salt goals tool are what is helping Salt know what information will be most valuable to the user. When you sign onto the website, it will have you select your goals and their order of importance. The goals are: Manage Money, Repay Student Debt, Find A Job, and Plan School Costs. At least one of these goals can apply to anyone; more than one may be applicable to you! By defining your goals, you are one step closer to achieving them. Once you elect the order of importance to you, Salt will direct you to your first step in tackling each goal. As previously stated, anyone can benefit from this tool! “I could use less scholarships”, said no college student—ever. As we each prepare with our strategy for paying the next semester of college, scholarship money is yearned for. Salt has a very helpful tool to help find scholarships unique to each student’s location, education, background, work, and activities. To access the scholarship search, sign onto your free Salt account, click the Menu button followed by the Tools and Calculators option, and you will find the scholarship search under the Plan School Costs heading. If you would like further help on deciding how to pay for your college experience, do not hesitate to schedule an appointment with Powercat Financial. There is one thing we all have in common as college students: the desire to be employed upon graduation. As May approaches and you still find yourself not knowing what to do after graduation or for the summer, save some time of your day to use Salt’s job and internship search! To access the job/internship search, sign onto your free Salt account, click the Menu button followed by the Tools and Calculators option, and you will find the tool under the Find A Job heading. This tool will help you narrow down jobs or internships depending on your major or area of interest and desired location. The final reason you should either log onto your free www.saltmoney.org account or create an account with Salt is because you can win either a $200, $125, or $75 scholarship provided by Powercat Financial! In order to qualify, you must complete Salt courses. These can be found under the Menu button on the Salt homepage. The courses are over various financial topics that either apply to your life currently or will apply to you in the future. The more courses you do, the better chance you have to win! The courses must be completed and passed between April 1st and April 30th in celebration of April being Financial Literacy Month. In order to win, you must be a currently enrolled K-State student with a Salt account. To sign up for a free account, go to www.saltmoney.org/k-state. Your account will be free for life, even upon graduation! If you would like more information on any topics discussed above, please don’t hesitate to schedule an appointment with Powercat Financial. Any peer counselor would love to help you out!